Adventures in Pisgah: Why isn't it Friday today? I'm done. Over trained and tired. My legs hurt and I haven't even run since Sunday's trip up the Black Mtn. trail. Trying to keep up with Broussard and Cook on the road Tuesday proved impossible but yesterday was Wednesday and with it being the most beautiful day of the year so far I couldn't help but make it out to Dupont for a little WNDC action. I played my game where I park at Lake Imaging, ride across the forest to Fawn Lake, say hi and start the ride with everyone before bailing early for my truck. 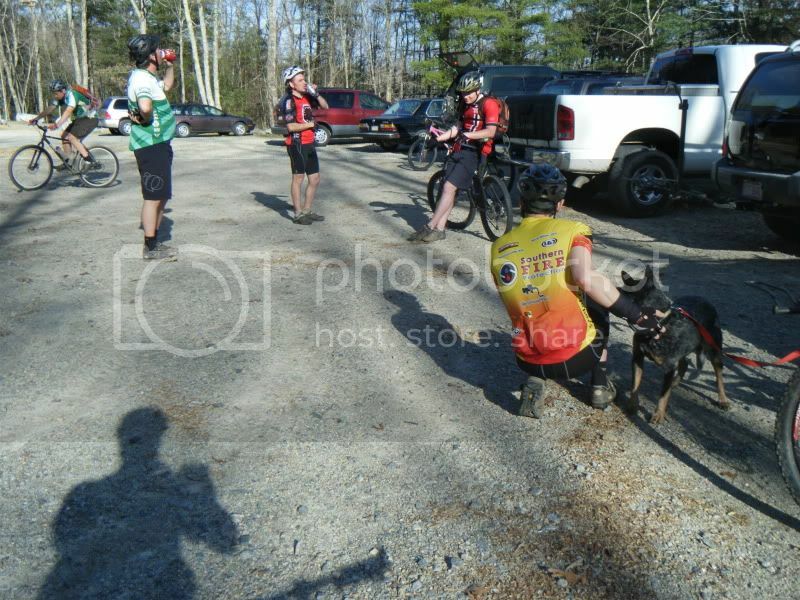 The trails were in great shape and we had the biggest turn out of the year!